Get your message out - The X-Stand Basic is ideal for promotional use at large events, trade shows, and high traffic areas. Extremely lightweight and portable they can be easily moved from place to place to be used in different settings. 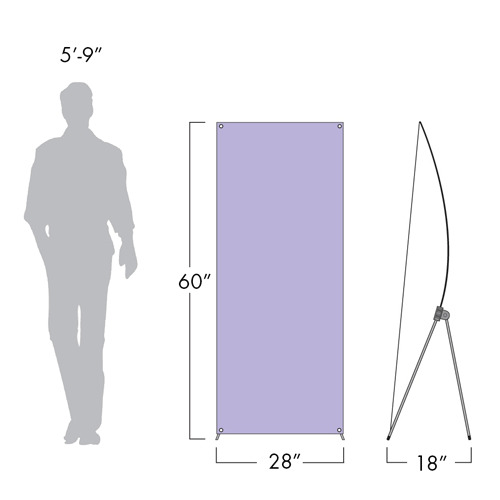 The X-Stand Basic comes with a full color graphic 24 inches wide x 60 inches high. Changing the print is quick and easy; simply remove the banner from the provided corner hooks. No need to worry about losing any components when using the provided Carrying Case. 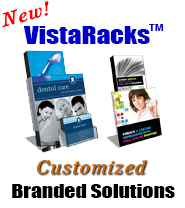 The X-Stand is a smart, economical solution to trouble-free advertising. 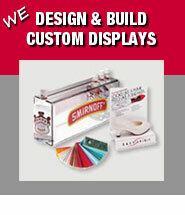 Includes Full Color Custom Vinyl Banner.